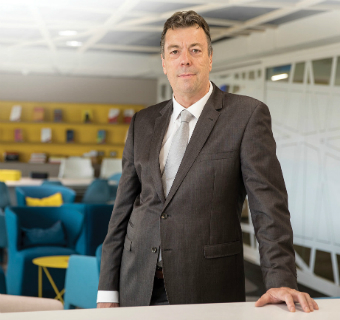 In this edition, incoming Vice-Chancellor and President Professor Peter Rathjen, discusses where he sees the University in the next five years; his experiences as Vice-Chancellor of the University of Tasmania; and how his time at the University of Adelaide, as both a student and academic member of staff, have influenced his career path. As we look forward to welcoming Professor Rathjen in 2018, the past months have seen the return of many distinguished alumni to campus, among them, Hon. Julie Bishop, Foreign Minister, who delivered this year’s Sir John Downer Oration, and Dr Andy Thomas, AO, who attended Adelaide for the International Astronautical Congress. In recent months, it’s been wonderful to see many of our staff and researchers, particularly in the area of science, recognised for their achievements, including Professor Heike Ebendorff-Heidepriem (Institute for Photonics and Advanced Sensing and the Adelaide node of Optofab), Dr Caitlin Byrt (School of Agriculture, Food and Wine) and alumna Dr Michelle Perugini, who received 2017 Women in Innovation awards, and Professor James Paton, who was named South Australian Scientist of the Year for 2017. On the innovation front, in this edition of Lumen, read about how our University community is working with local government to transform Adelaide into a smart city. Meet inspiring alumna Indigenous Doctor Kali Hayward, and find out about the Karnkanthi Indigenous Program, developed by the University, which will support young Indigenous leaders of tomorrow. We acknowledge the great work of our Law staff, students and alumni involved in the South Australian Law Reform Institute (SALRI). You can also read about the world-class facilities our staff, students and community will benefit from as the Adelaide Dental School moves into its new home at the Adelaide Health and Medical Sciences (AHMS) building.